Theodore has spent over 30 years specializing in west end Toronto real estate. He has made himself indispensable to his clients by attending to all the details of buying and selling a home. For the benefit of sellers he prices homes strategically to get the best possible result. He also takes an active role in adding value to a home and coordinates the work of design professionals and trades. For buyers he and his associates offer experience, market knowledge and attentive personal service. His innovative and professional approach has earned him the loyalty of his clients and their referrals. 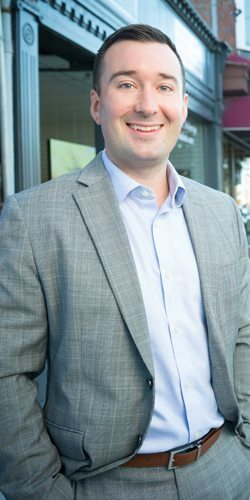 Kris Lawson is the senior agent on the Babiak Team and is a lifelong resident of the west end. He was fortunate to grow up in Bloor West Village and currently resides in High Park with his wife. 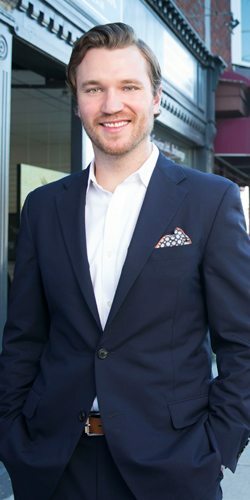 In his 8 years with the Babiak Team, he has guided his clients through hundreds of transactions ranging from condos to luxury homes, development opportunities and large, multi-unit investment properties. His many happy clients include first-time buyers, downsizers, investors, landlords, builders and developers. Kris has recently represented a west end developer as lead listing agent on several new area development. Kris’ propensity to exceed his client’s expectations comes as a result of his willingness to help people, his perseverance, attention to detail, experience as a landlord, in combination with hands-on knowledge of renovating and building homes. You could say real estate is in his DNA! In his spare time, Kris enjoys spending time with his family, cooking, golfing, playing tennis and hockey and fishing at the family cottage. Markian is a broker with over 15 years of real estate experience. He brings innovative thinking, strong negotiating skills and an enviable work ethic to the Babiak Team. 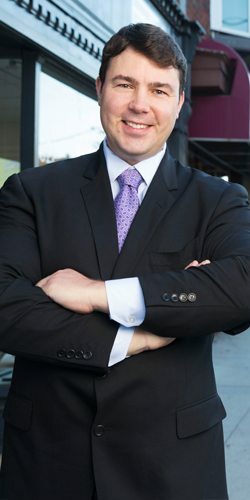 A native of Bloor West Village, he has strong roots in the community and currently resides in Etobicoke with his wife and son. Markian has a Bachelor of Civil Engineering from Ryerson University and a Bachelor of Arts in Art History from the University of Toronto. He was a member of the Canadian men’s rowing team competing at the Pan Am Games and other international regattas and continues to row competitively at the Argonaut Rowing Club. 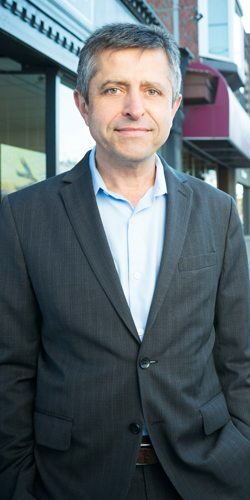 Aside from being a political and news junkie, Markian’s other interests include organic farming, shopping at farmer’s markets, cooking, beekeeping, paddle boarding and visiting High Park zoo with his family. 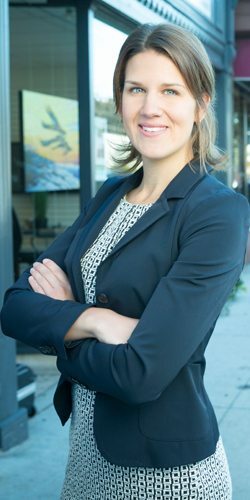 Anna has been a real estate agent on the Babiak Team for over 5 years. She is supported by an award winning team (top 1% in Canada for Royal Lepage) that excels in all aspects of pre-sale preparation, marketing and negotiations. Her expertise in the West End stems from her dedication and hard work as well as the knowledge gained by being raised and residing in Swansea. Anna provides invaluable and thorough guidance to position buyers and sellers for optimal results in all market conditions. Anna is totally committed to ensuring her clients receive personalized top quality service and satisfaction. She attributes her success in selling, buying and leasing properties to many client referrals and repeat business. Prior to her career in real estate, Anna attended the University of Guelph and Deakin University in Melbourne, Australia where she studied Humanities and received her BA in Sociology. She plays tennis and was a tennis instructor at the Swansea Community Tennis Club as well as The Boulevard Club. She also enjoys competing in her weekly volleyball league, participating in various marathons and triathlons and exploring Toronto on her bike. Jamie grew up in a century old home in Roncesvalles, one of Toronto's most unique neighbourhoods, and a community which he and his wife Brittany call home. He spent part of his childhood in the south of France, where he had his first taste of teamwork and self-sacrifice on the soccer pitch, and returned fluent in another of Canada's official languages. The lessons learned through team sports served him well as he later earned a scholarship to the catholic liberal arts school, Mercyhurst University, in Erie, Pa. After graduating with a B.A. in international business (with a minor in French!) he went on to play professional hockey in California and Ohio. The nuns who founded Mercyhurst had a mandate of charity and compassion, lessons that Jamie has taken to heart as a stalwart participant in the Ride to Conquer Cancer, and a leader in the not-for-profit organization Hockey Players for Kids. Discipline, teamwork, determination, analytical thinking and a passion for helping others are attributes that serve him well. Jamie forges strong bonds with his clients who become advocates and recommend him to their friends and families. Stephanie Martin grew up in Bloor West Village / High Park, attending the same local schools that her children now attend. She is deeply involved in her community, including volunteering with local youth soccer clubs and as President of Bloor West Nursery School. Stephanie is a keen supporter of Toronto's west end neighbourhoods and enjoys championing the many benefits of living there. With a longstanding love of real estate and renovating character homes, coupled with a genuine commitment to clients, she works diligently to help buyers and sellers achieve their real estate goals. Stephanie holds a BA from the University of Alberta and an MBA from the Richard Ivey School of Business. Mariko Kataoka has been a member of the Babiak Team for almost three years as an administrator, staging coordinator, and now, sales representative. 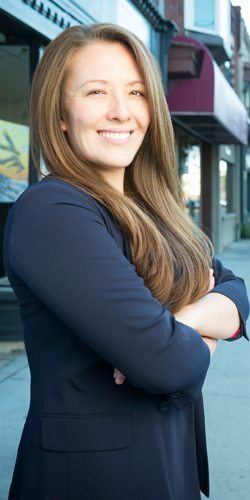 With experience at all stages of the real estate process, she has developed the necessary skills to best serve you in one of the most important pursuits in life. Mariko has two degrees - a Bachelor of Science from the University of Toronto and a graduate certificate from Durham College - and before entering real estate had varied work experience including managing an aquatics facility and serving as a diversity officer at her alma mater. She has been an athlete her entire life, most recently training and teaching Muay Thai, and has even traveled to Thailand to learn from the best Thai fighters. Mariko is focused, attentive, honest, motivated and has the backing of the best team in the west end. class="page-template-default page page-id-328 samba_theme samba_left_nav samba_left_align samba_responsive custom-team wpb-js-composer js-comp-ver-5.7 vc_responsive"